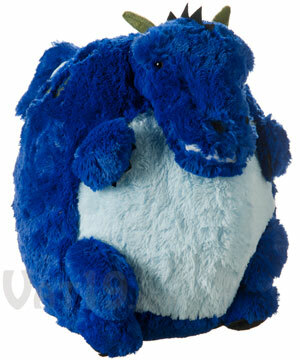 Squishables are giant fuzzy stuffed animals. 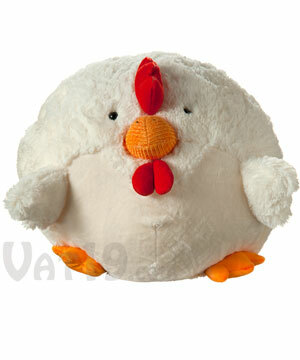 You can't help but hug and squeeze these adorably plump, plush, and soft toys. 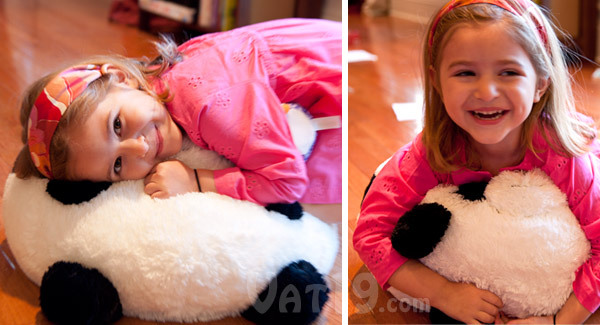 With a 15-inch diameter, Squishables are sure to delight kids of all ages. 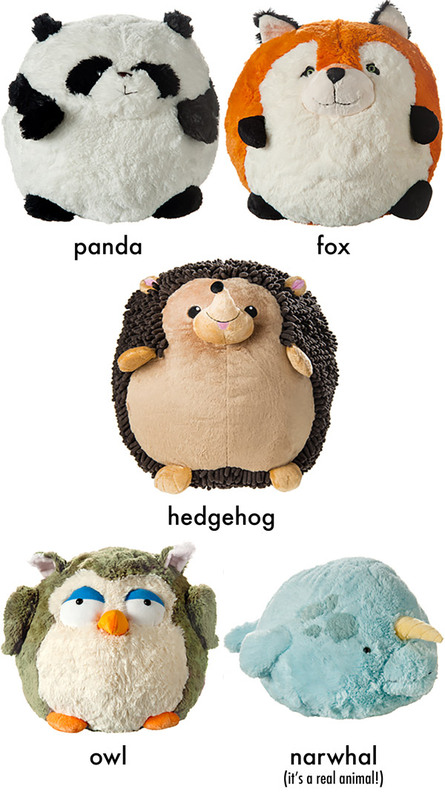 Available in a variety of animal styles including panda, owl, fox, hedgehog, and narwhal! 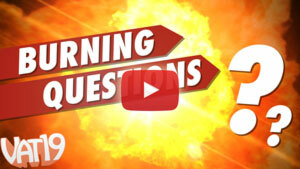 Complies with US ASTM F963 safety standards. 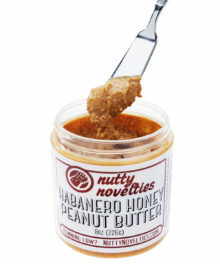 Also available in mini sizes. Big, fuzzy, and cuddly. Simply perfect for hugging! 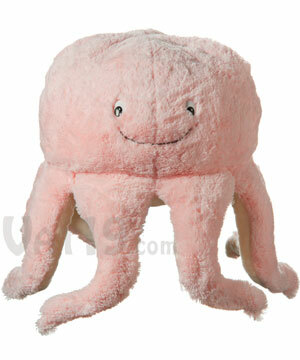 There is no mystery to the appeal of Squishables. 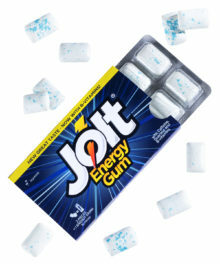 They are soft (you'll be amazed at just how soft! 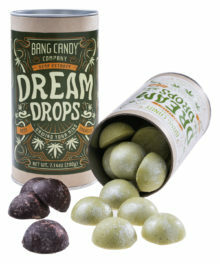 ), gigantic, and begging to be hugged and squeezed. 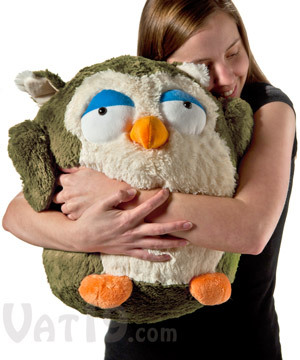 Kids of all ages will simply adore their Squishable. Available in tons of adorable styles! Stuffed animals are awesome. 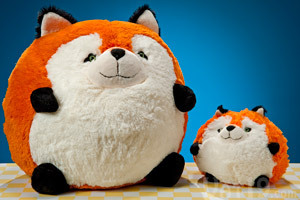 But big, plush, round stuffed animals with stubby arms and legs are awesome raised to the power of cute. 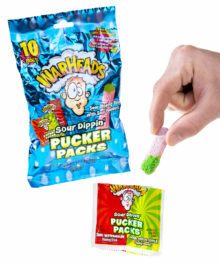 Plus, they're huge! 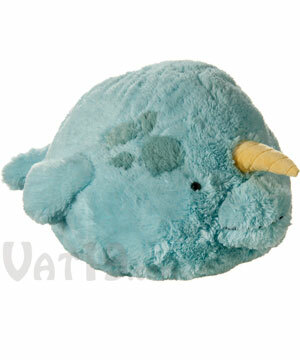 Oh, and did we mention that there's a Narwhal style? It's official: Squishables are Grade-A awesome. 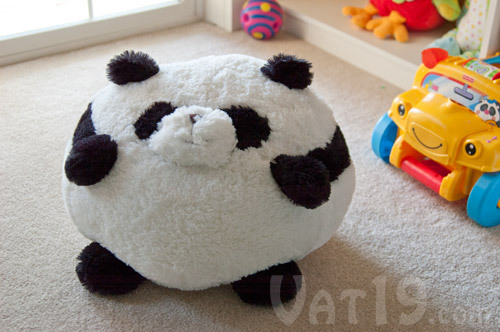 Squishables are available in a variety of huggable styles. A fifteen-inch diameter may not sound "large and in charge", but just think about what that diameter means for the Squishable's circumference. As we all remember from math class, the circumference is equal to the diameter times pi. 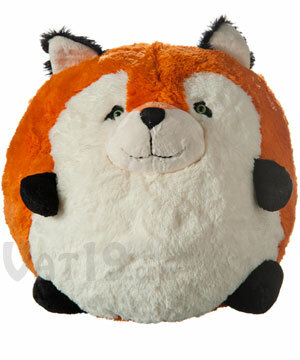 Thus, Squishables are more than 47" around. That's B-I-G be flossin'. 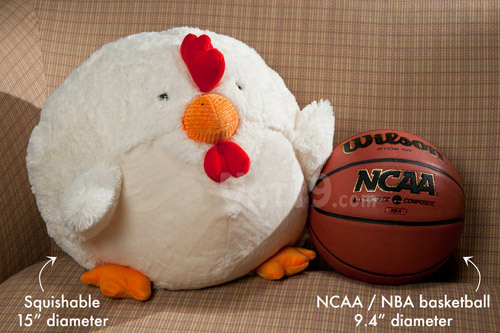 In comparison, an official NBA basketball has a circumference of 29.5". 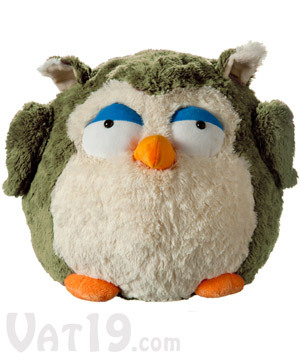 Adorable Squishables are designed for children ages 3 and up. Don't forget about Mini Squishables! 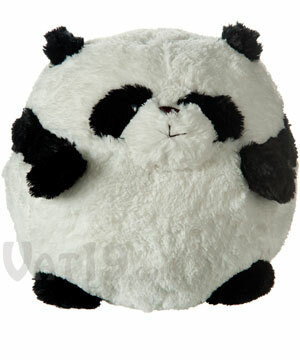 Standard Squishables have a 15" diameter. 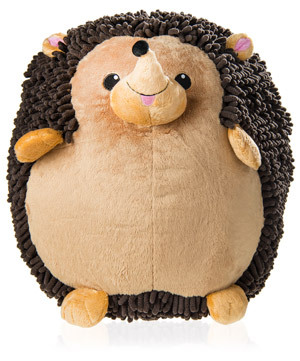 Squishables are designed for children ages 3 and up due to their large size (which may frighten kiddos under three or conversely send them into stuffed animal heaven). Either way, they're perfectly safe as Squishables comply with U.S. ASTM F963 safety standards and are made from all new materials.